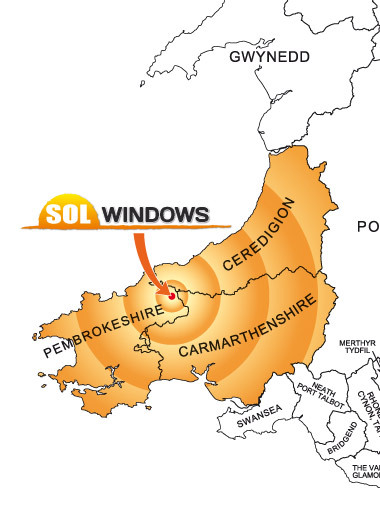 Sol Windows is situated on the border of the three counties of Mid and South West Wales, and ideally placed to service all areas within. Our lead surveyor/fitter has been an installation professional for over 15 years and has worked previously for Anglian Windows and Weatherseal throughout the UK. Sol Windows offers you a fast and friendly service, with a quality finish. Our high quality products are backed by a 10 year manufacturers guarantee. At Sol Windows we pride ourselves on our work and endeavour to deliver all of our customers needs above and beyond expectations.